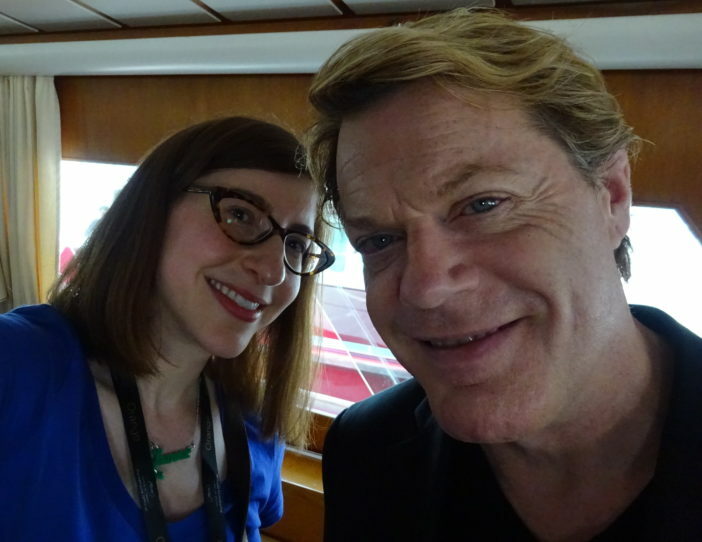 I met with stand-up comedian, actor and soon-to-be politician Eddie Izzard on a yacht parked outside of the Palais des Festivals at the 2015 Cannes Film Festival. Along with director Ash Brannon, Izzard was doing roundtable interviews for their new animated film Rock Dog, a Chinese-American collaboration based on the graphic novel Tibetan Rock Dog by Zheng Jun. In the film, Izzard voices the character of Angus Scattergood, a British rock legend of a cat who’s suffering from writer’s block. This entry was posted on Tuesday, October 4th, 2016 at 8:35 am	and is filed under Comedy, Film, Interviews.